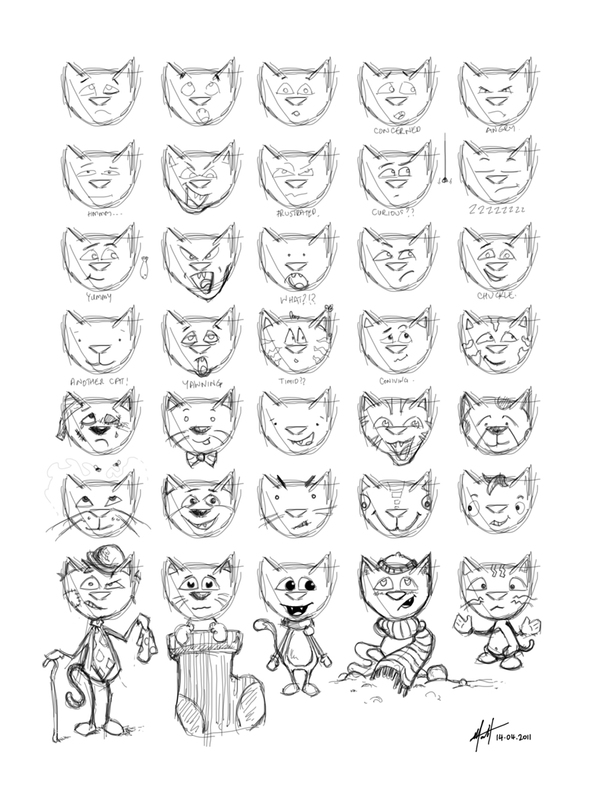 Here are some sketches for a character I am working on. I am not sure exactly what I will use him for yet -- they are really just ideas at this stage. But I do think it would be fun to create a short animation with him. Most likely I will create something in 2D, cell or paper-cutout style... but I am also considering the possibility of doing something in 3D. 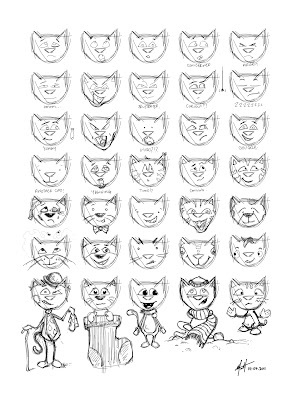 I sketched these at college using a standard brush (photoshop) set to 4px and flow set to about 20%. This meant I could keep loose and sketch a whole bunch of transparent lines that built up as I went over them again and again -- a little like working with led pencil on paper. First I sketched a rough head shape and nose that I was happy with. I then duplicated this and used it as an underlay to sketch over the top of. I started by adding eyes, eyebrows and mouths to the blank heads one by one. As I progressed I started adding accesories and playing around with the scale and position of facial features. They got kind of interesting towards the end. I found it was a great way to flesh out some ideas without commiting to a final design or direction. Oh, and a lot of fun too!